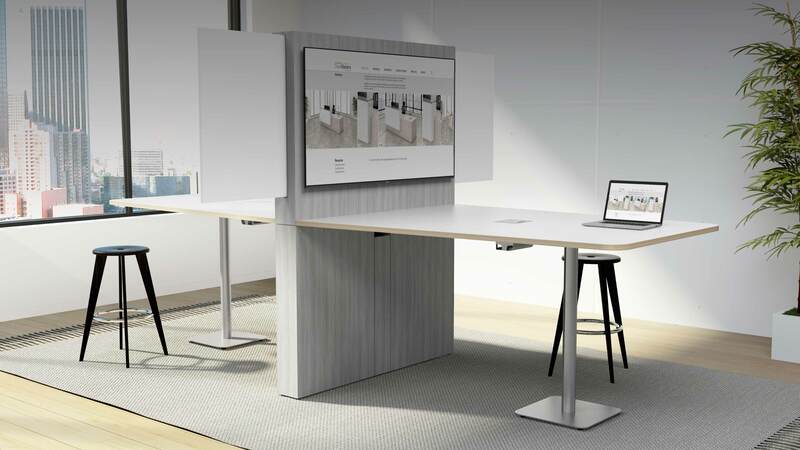 DeskMakers is excited to introduce Narrative, a collaborative meeting system for open plan environments. 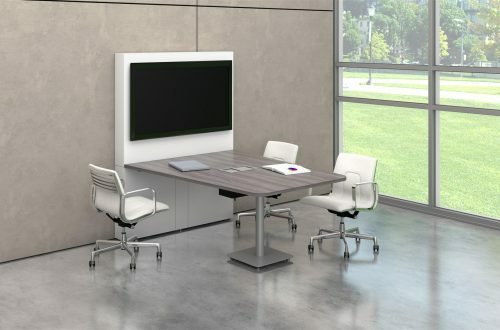 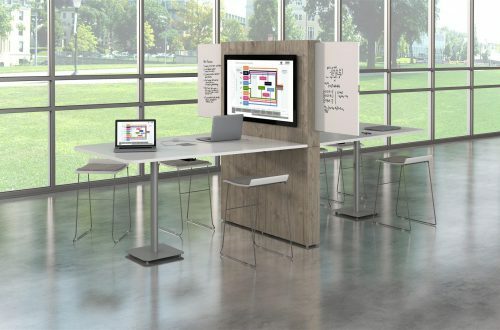 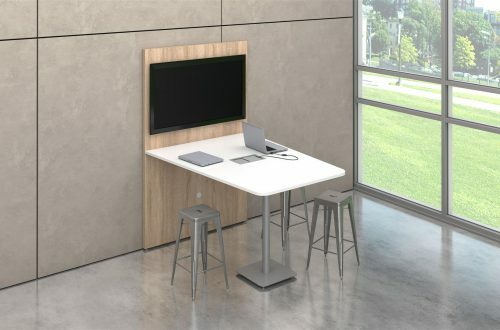 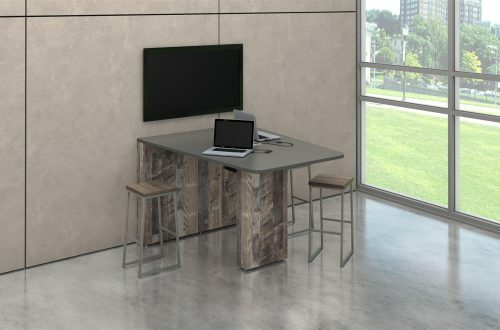 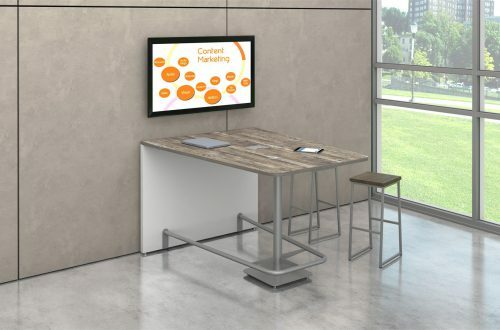 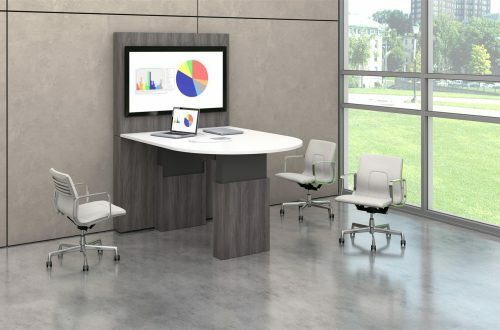 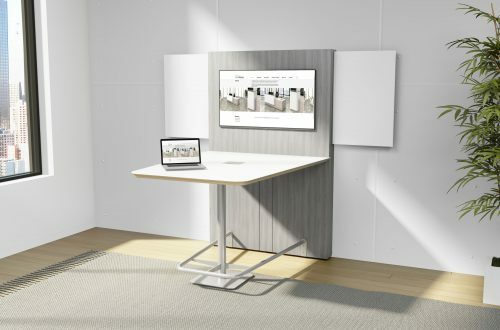 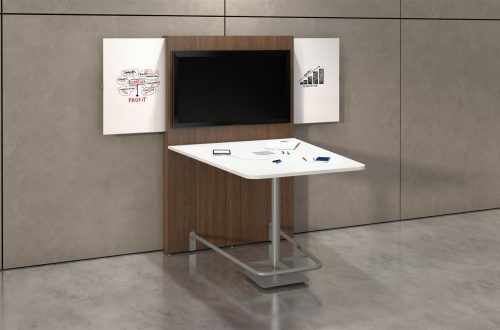 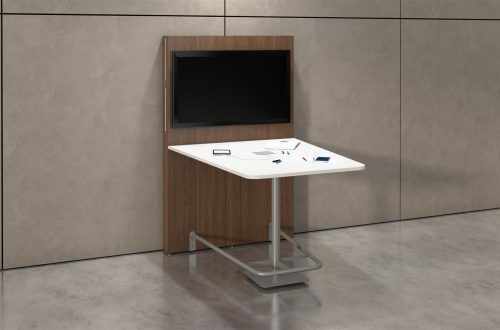 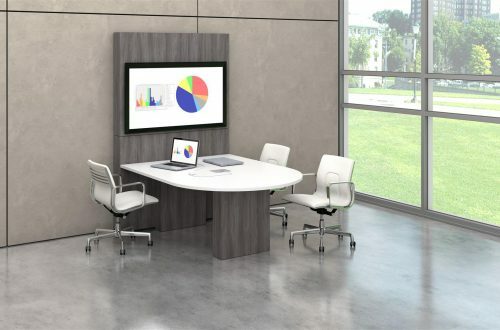 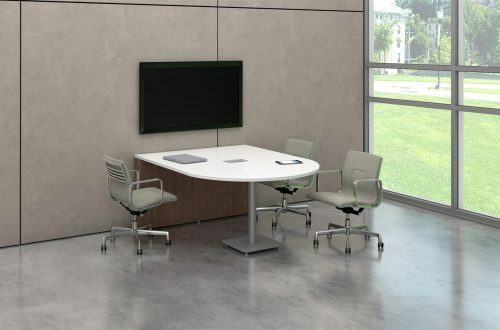 Narrative is available in sitting, standing, and height-adjustable configurations, and includes slide-out white boards. 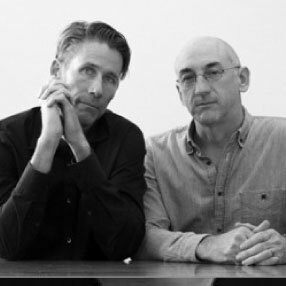 Narrative was created by renowned designers David Ritch and Mark Saffell of 5d Studio in Venice, CA. 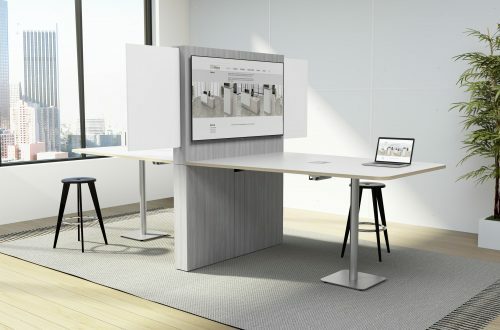 5d has previously created products for Herman Miller, Tuohy, Arcadia, KI, and many others, and over the years they’ve won many Best of NeoCon awards.